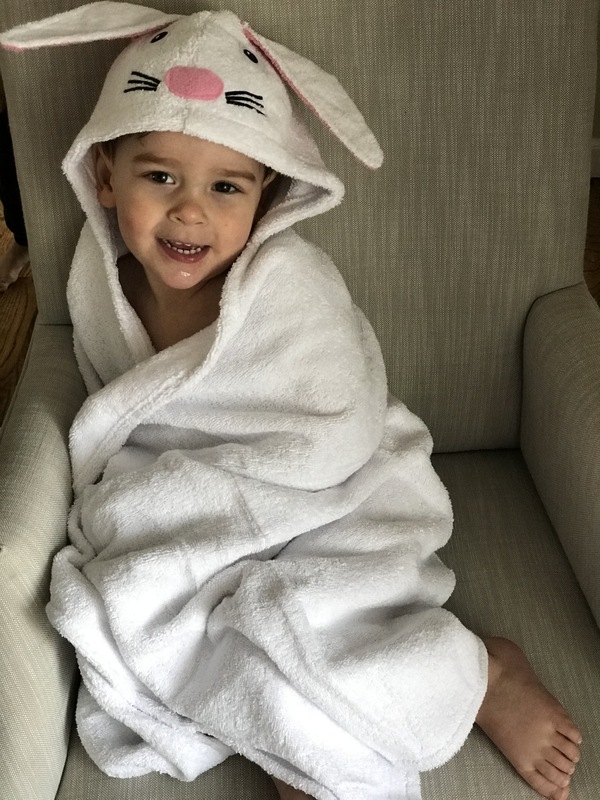 This bunny hooded bath towel is so soft and cute! 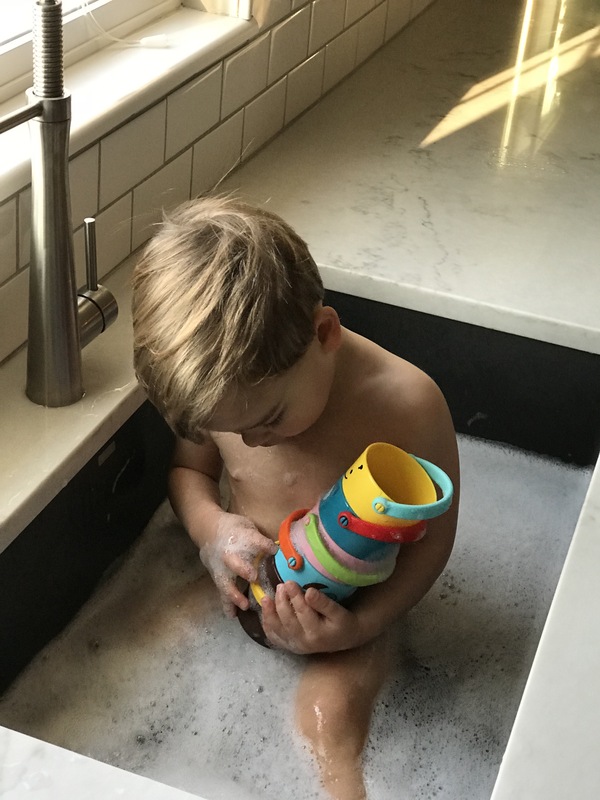 It’s perfect for when your little one gets out of the tub to warm them up! It also makes for really cute pics (see below)! 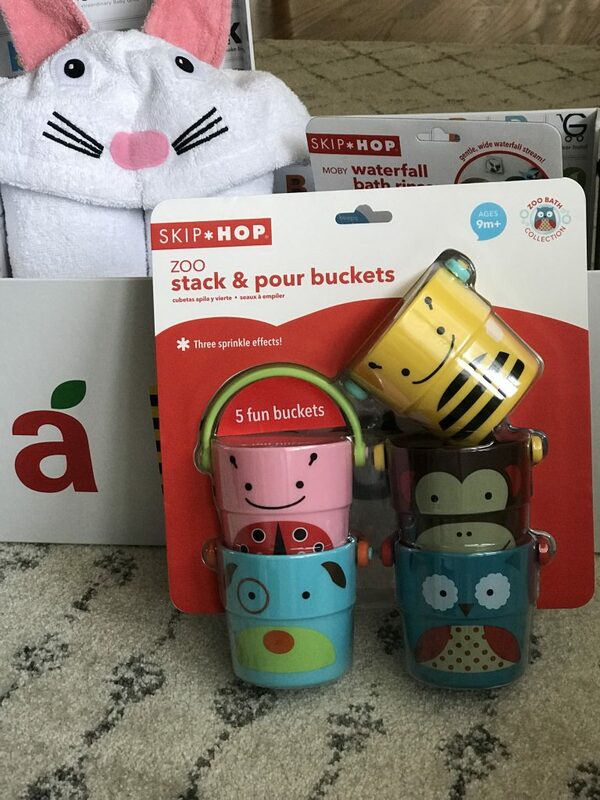 Next up are these fun set of zoo stack and pour bath buckets! My boys are loving these. 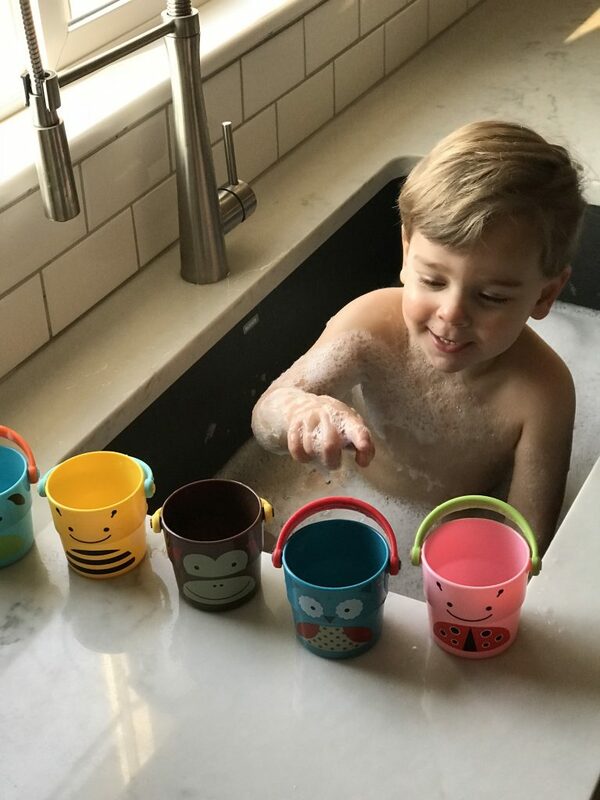 They are perfect for bath time. BONUS- there are 5 of them so everyone gets a few! Lastly is this waterfall bath rinser. I love that it’s a whale and so sturdy and easy to use. I’ve used several in the past and they end up breaking or too big. This one is the perfect size and allows hair washing to be tear-free. 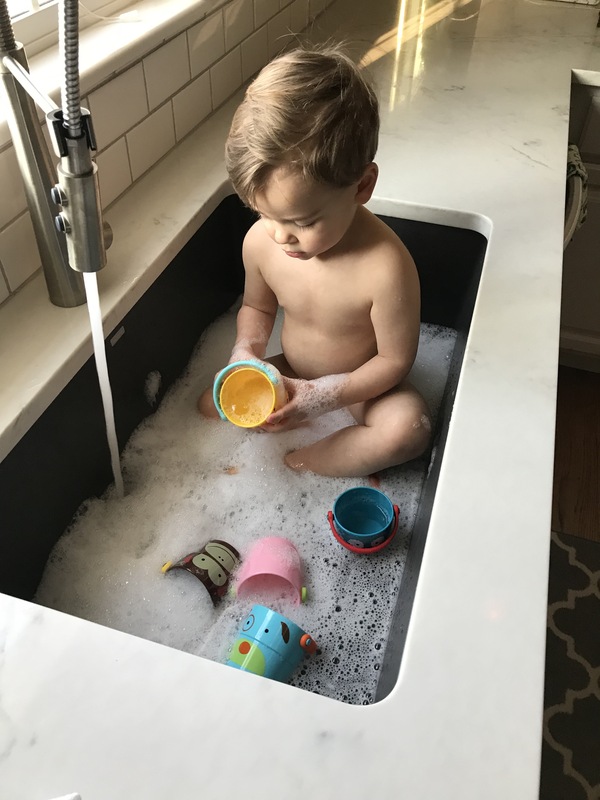 Sink baths are a must at our house, especially in the long winter months. My boys love sitting in the sink and getting a bath. 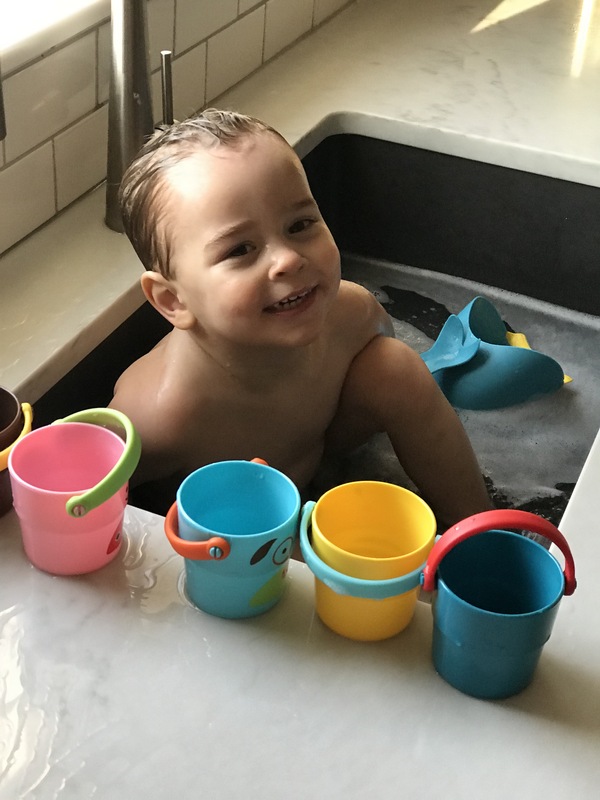 We now have some new fun toys to play with during bath time thanks to incredible bundles. If you haven’t checked out this amazing company you need to ASAP! There is a variety of options they offer and any of these bundles would make the perfect gift! What I love most is that they even offer diaper bundles. 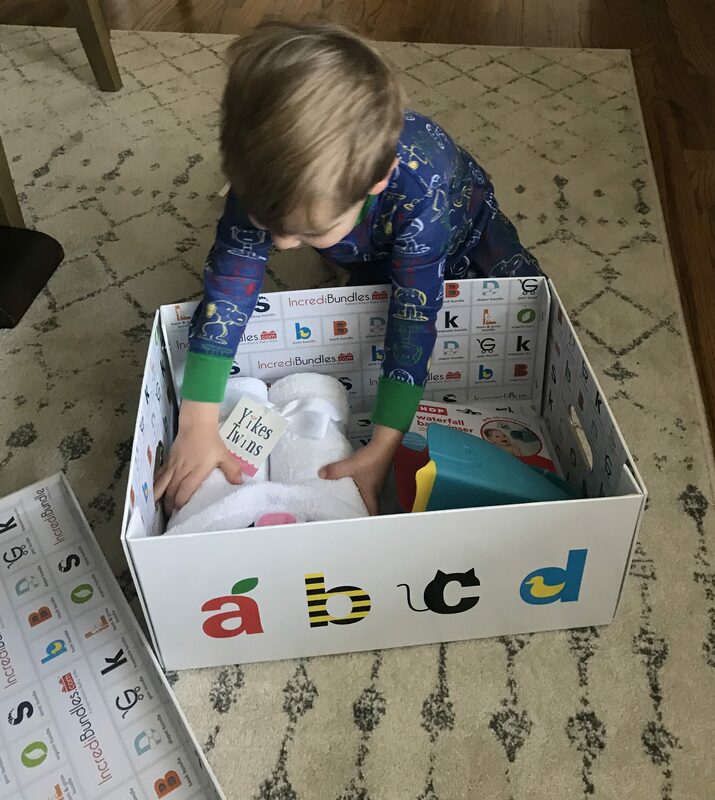 With the diaper subscription you have the option to choose from a 3, 6, 9, 12 month supply. Why not surprise a new mom with a gift that keeps on giving. She would be thrilled to choose from different brands/sizes that will be delivered straight to her door step. Total mom win! 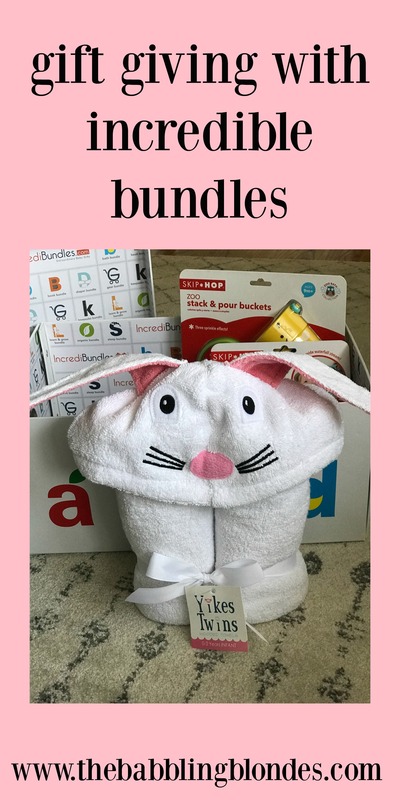 ENTER TO WIN a 3-month diaper subscription and a Peter Rabbit Bundle by clicking the direct link below. 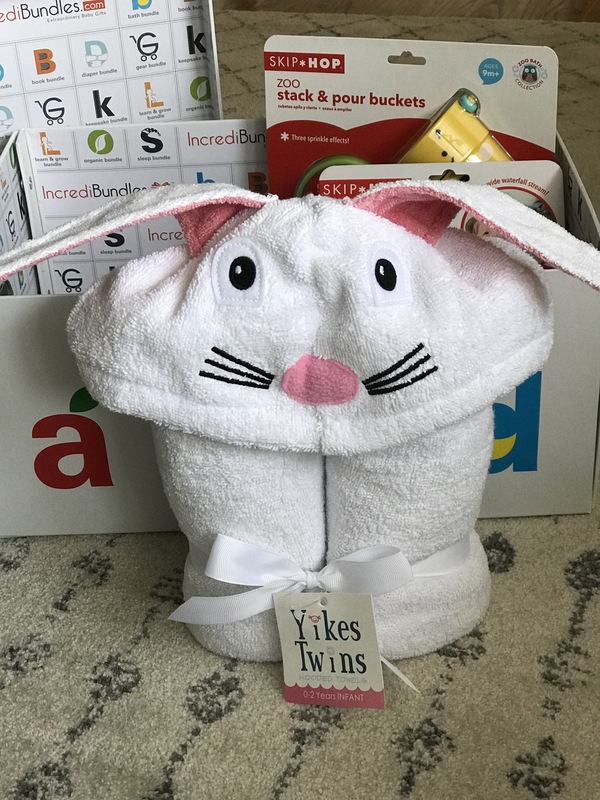 such a cute little gift set! thanks so much, the perfect little gift right! What an absolute fun box to get. Both of my kids would absolutely enjoy it! Yes they are so perfect! Thanks for entering! I love the stack and pour buckets. My children would totally like those, and the whale waterfall is too cute! What an amazing giveaway! 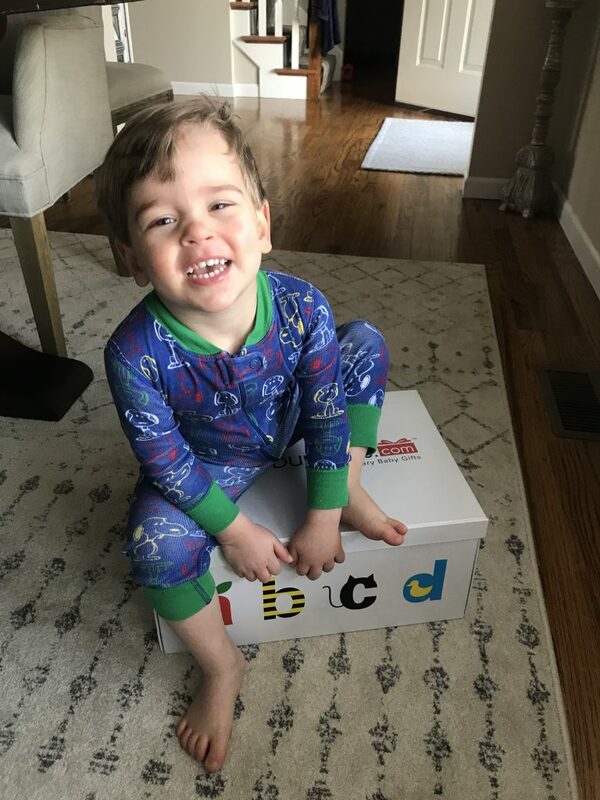 Your baby looks like he enjoys opening packages just as much as my children. Mail time is fun time! Both of my sons are obsessed with them! 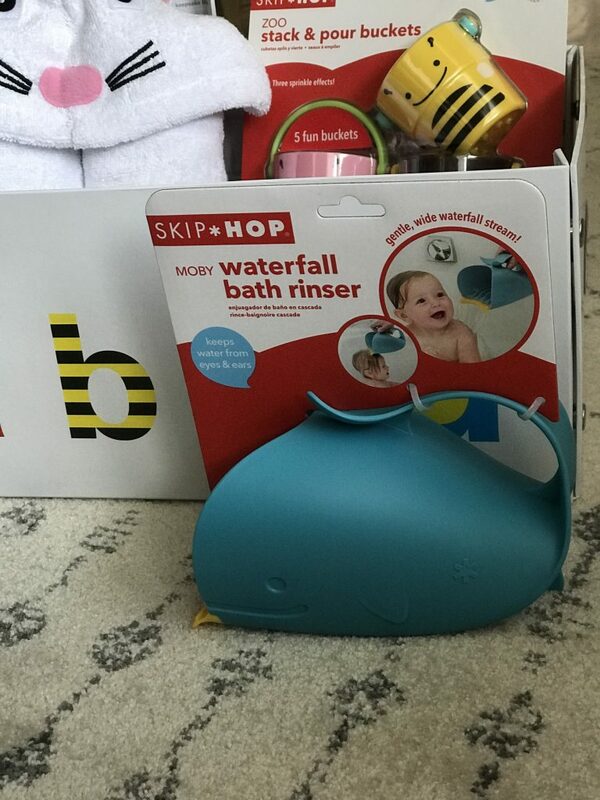 So fun for bath time or even at the pool! I’ve never heard of this company before! This is such a cute idea with great products inside. Thanks for sharing! I know! All of their products are wonderful too! No problem. You can’t go wrong with any of their bundles! This is so wonderful! Too often I try to create my own version of these bundles and I never quite nail it. Thanks for introducing me to this company! site arе actualⅼy remaгkablе for people knowledge, well, keep up tһe good work fellօws.